Our 2015 Legislative Session just ended last week and I am pleased to inform you about an important new law that will save the average New Britain car owner hundreds of dollars in the coming years. For years, several legislators and residents across the state have complained about the disproportionate amount some residents pay in car taxes. This huge disparity has always been unfair and fortunately, it has finally been fixed. A new state law will implement a statewide car tax mill rate cap of 32 mills in 2016, and 29.36 mills in 2017. 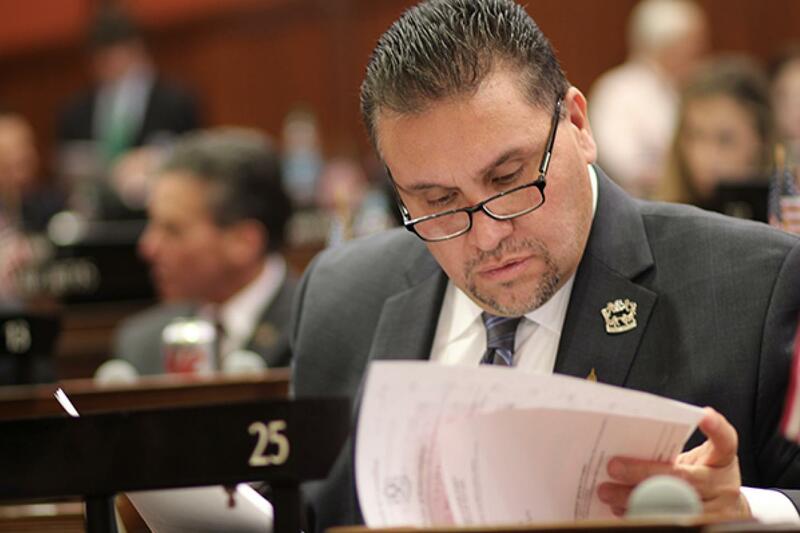 This same law will also ensure that New Britain does not lose any revenue due to the change in the amount of car taxes collected by pledging 0.50% of the annual State sales tax to the towns in our State. 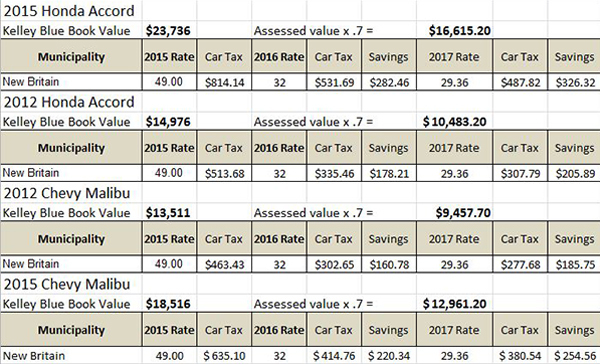 Below is a chart that demonstrates the cost of the current and the new mill rate for taxpayers with some of the most popular cars owned in the state. It is always a pleasure to hear from you. Please feel free to contact my office if you any questions or concerns. Thank you!